Kohiwood has two glued board mills in Soini, the newest of which opened in spring 2007. Glued boards are always manufactured to customer-specified measurements. We use non-toxic glue in our manufacturing. It is not harmful to health or the environment. No environmentally harmful VOC emissions are formed during production. Our production is constantly developing, which allows us to compete with lower-wage countries in terms of cost efficiency, but to remain clearly superior in quality and environmental sustainability. In recent years, we have invested in quality control and automation. We are among the first glued board factories to start using such technology. 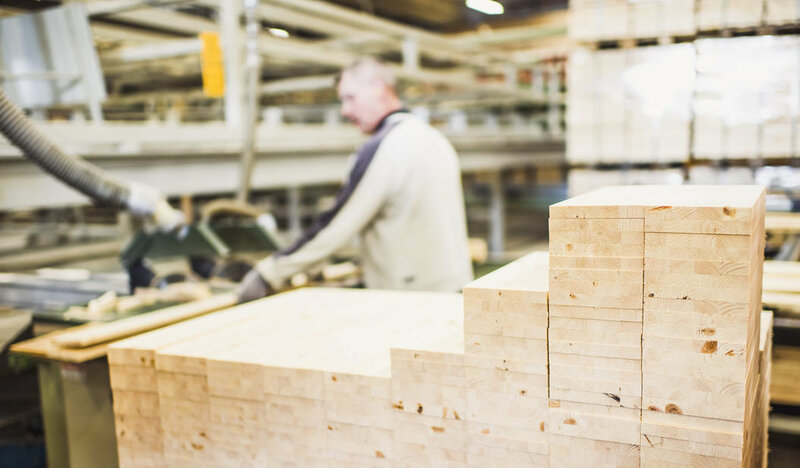 We produce solid glued board, furniture components and sawn timber for the furniture industry. Our products are always made to the customer’s bespoke measurements. We constantly develop our products and improve their presentation. In development work, we cooperate with wood technology research institutes. We want to build a reliable, long-term partnership and be an effective part of our customers’ production cycle. We offer products and services as a package, the strengths of which are quality, reliability of supply and competitive prices. Thanks to long-term cooperation, we are able to improve both our own and our customers’ production in line with our common goals.